Our 1930´s Weissenborn Style 4 will be flying back to Hawaii now. There is some poetry on sending a guitar back to where it´s wood came from after 100 years. When shipping outside the UE, we can only do thru postal service (otherwise we only get crazy rates from private courier companies). 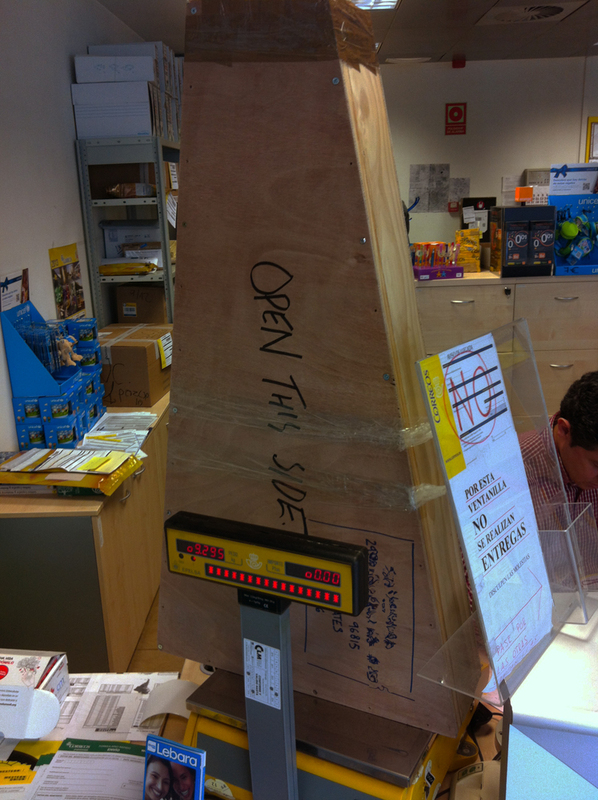 Correos (Spanish Postal Sevice) doesnt allow any larger size than 1,05m on international packages, so we can´t send double box in this case. Luckily for this shipment we had a wooden box (Tony Francis built) that guarantiees that at least overcharging or stepping the box (two of the favourite actions that couriers do to their consignments) won´t be a problem.